No, I wasn't being catfished. 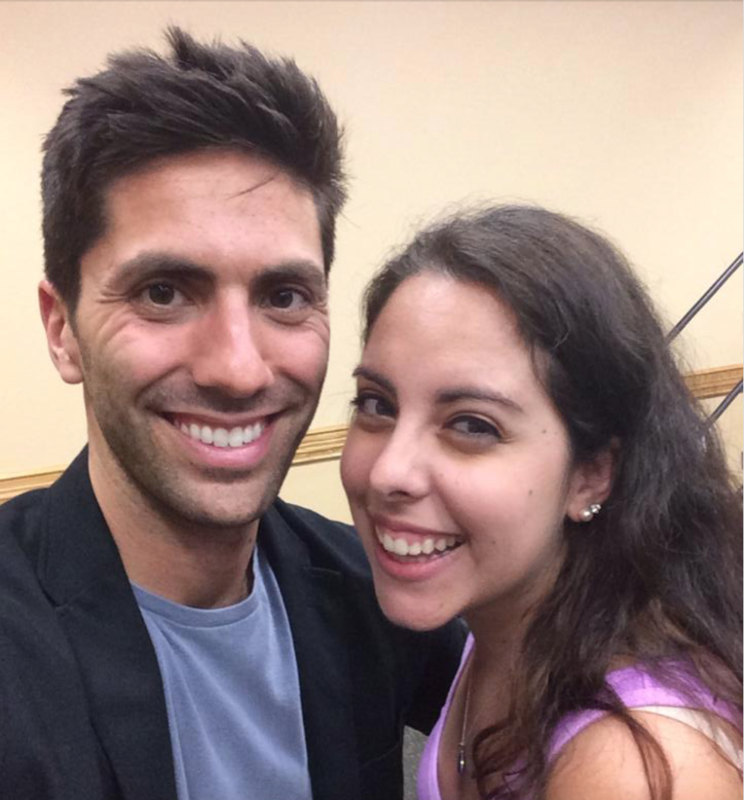 A couple of years back, I found out that FGCU was bringing Nev Schulman from MTV's "Catfish" to come and give a lecture. As a fan of the show and Nev, I was extremely excited and then I received even better news — my friend was the director of the lectures committee and she had told me that I could volunteer to help set up the event AND hang out with Nev. I canceled all of my plans and made sure I was able to volunteer for this once in a lifetime opportunity. Of course, because I was volunteering, I had to be professional. Nev arrived 30 minutes earlier than expected, so I had to scramble to gather my thoughts and emotions and remain calm. He walked in so casually and treated everyone with respect and was so kind. He went up to everyone and introduced himself and asked for our names. My friend, the director, escorted Nev to the ballroom where he was going to be giving his lecture so that he could do a sound check and get everything set up and we all got to go with them. We were all joking around with him, taking selfies, and just having a good time. I was taking a selfie with him in the background and posted it to Twitter and I had hashtagged #CatfishOnCampus since that was our hashtag for the evening to get people talking. Little did I know that on the big screen, Nev had a website up showing any tweets that were posted with that hashtag. A second later, my selfie that he didn't know he was in, was plastered all over the screen. I was mortified. Nev turned around and looked and said, "Oh, hey, that's me!" My friend told him, "Watch out for her, she's crazy" and I said, "I'm not crazy! Sorry, I was just trying to be funny!" Nev didn't seem to mind at all as he was laughing. Before the lecture, Nev actually went outside with some Oreos we had given him to greet the line of 400 students and actually gave them some Oreos. Yes, he's that nice of a person. All the girls were screaming and freaking out, trying to get any picture of him that they could. It was time for Nev to come inside to get started and then we had to start letting students in (I was in charge of scanning student IDs so that they would be allowed in). Once everyone settled, Nev came out and spoke about his past and how he wasn't a great guy when it came to dating and how he treated women compared to the present. Then he talked about his experience being catfished and how that prompted him to make a documentary and then the TV show. He then discussed some past episodes and also future episodes and what dramatic things were going to be happening. He took some questions from the audience and then afterward, it was picture time for each person. You could say it was a little chaotic. Once that was all finished, Nev grabbed his things and we all got into the elevator with him to walk him down to his driver. He still had some Oreos left and he offered me one. I'm not a huge fan of Oreos but when Nev Schulman offers you an Oreo, you take it. I started eating it and halfway through the conversation, I realized I had crumbs all over my face and shirt. I was so embarrassed. We finally got to his car and he hugged us all goodbye and left. I'm so thankful to have met him and to see what he's like as a regular person outside of a TV show. It will forever be one of my favorite moments.